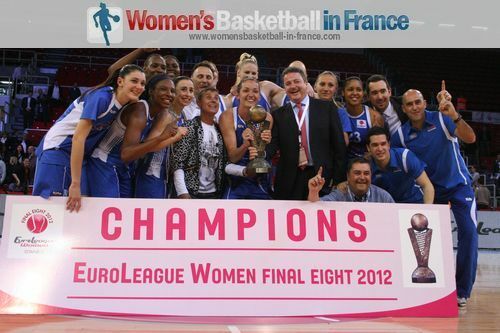 Ros Casares are the 2012 EuroLeague Women Champions, this is the first title title for thbe club. Ros Casares came back strong in the second half with a collective defensive effort holding Rivas Ecópolis scoreless for seven minutes in the last quarter to win Gold (65-52). 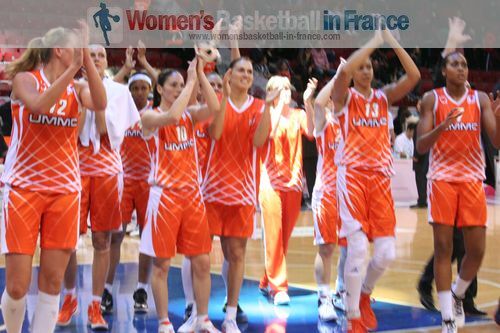 For the fifth year in a row UMMC Ekaterinburg picked up an ELW bronze medal by beating Fenerbahçe. 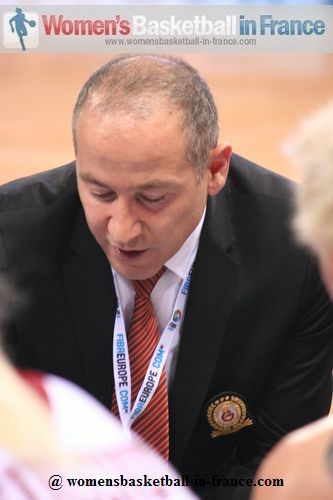 Diana Taurasi fired Galatasary after the hosts' initial bad start into the Final 8 into a EuroLeague Women fifth place with 0.3 seconds to play against Sparta&K Moscow Region with a mid-distance jump shot (73-71). In the match for 7th place Beretta-Famila beat Wisla Can-Pack (65-62). Lauren Jackson opened the scoring for Ros Casares with the very first attack of the game with 12 seconds played. Rivas' first two shots were air balls, but they eventually got off the mark with Asjiha Jones. 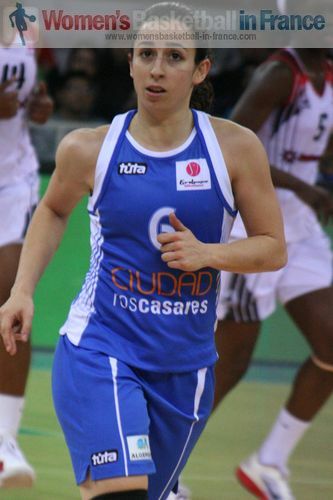 Silvia Dominguez (in picture) showed her offensive skills with 6 points coming from three different situations: driving lay-up, reverse lay-up and mid-distance jumper. The first time-out was called with Miguel Martinez Mendez' side trailing (6-10). With Ros Casares continuing to play the ball inside for Jackson and Ann Wauters or any other inside player, they won in total 7 offensive rebounds to go ahead (20-18) by the end of the first quarter. For Rivas Jones, Essence Carson and Anna Cruz did all the scoring as they maintained their composure. 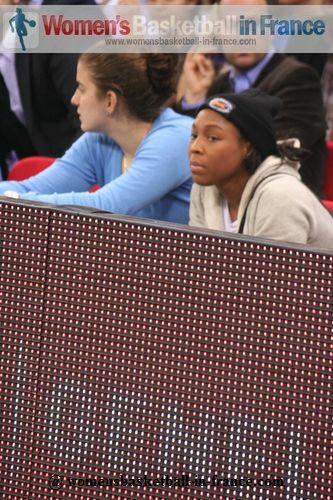 Jones lasted 90 seconds in the second quarter before picking up her 2nd foul. She had to leave the game and did not return for the rest of the quarter. 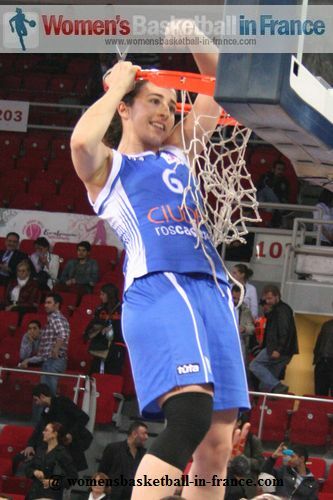 Ros Casares failed in taking advantage of her absence as they did not win a single offensive rebound. Instead Rivas gained the upper hand with solid defending and steady shooting. Cruz was again making things difficult for the opponents. 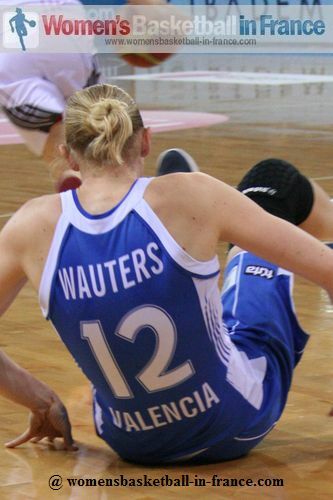 Her battle with Dominguez was becoming the main focus of the match. A well executed late play enabled Laura Nicolls to score for Rivas to go into the half ahead (37-33). Both teams were made to work hard for their points all through this quarter as neither team gave an inch for the first seven minutes. Trailing by 7 points, Ros Casares found their way back with Sancho Lyttle contributing 12 points, missing only one shot. Relying on the outside jumper Ros fought their way back. They stepped up their defensive pressure forcing many last second shots. Ros took the lead for good and managed to stay ahead (51-48) going into the last quarter. 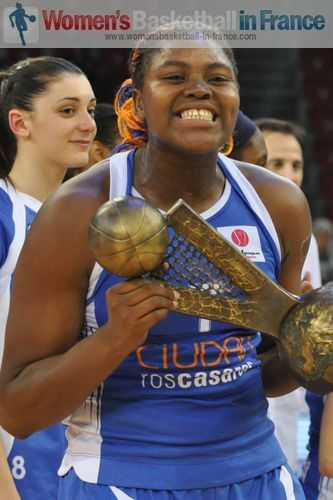 Ros Casares continued to dominate in the fourth quarter with Yacoubou and Jackson doing a tremendous work inside. Maya Moore also stepped up in her defensive pressure with 1 block and 1 steal extending Ros Casares' advantage for her side to win by 13 points. 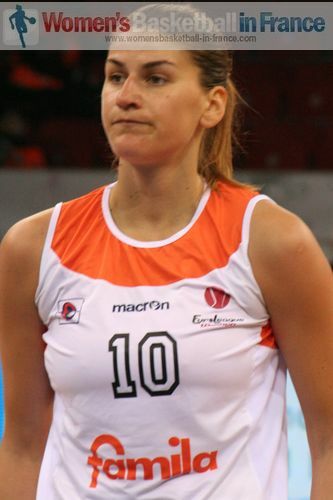 In the last group game Maria Stepanova had slipped and injured her ACL. She is out of the Olympic team. Fenerbahçe SK have officially confirmed that Penny Taylor did tear her ACL during the game against Galatasaray. There was no time for observation with baskets flying in from both sides in an active opening. UMMC with 6 points from Candace Parker had the early advantage (10-6). The game was back and forth with both teams playing open offensive basketball. 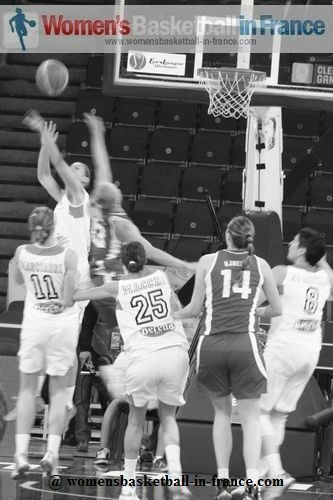 After just six minutes the score was (20-15) in favour of UMMC. After a trey by Sue Bird the scoring stopped for a while as finally both sides started to play somedefense. Fenerbahçe under an inspirational Angel Mc Coughtry(in picture) managed to stop UMMC from running away. UMMC was (27-20) at the end of the first quarter. In the first quarter UMMC had hit 75% of their shots. This percentage dropped as Fenerbahçe switched defensive systems. However UMMC's dominance on the offensive rebounds gave them the edge as they maintained their advantage (31-25) half way through the second quarter. 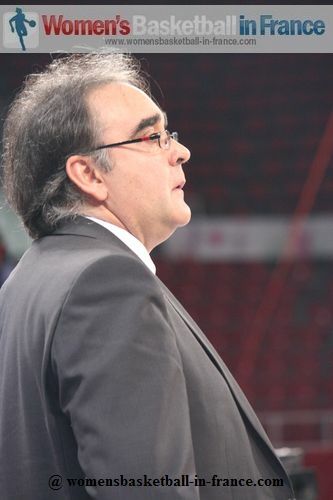 Fenerbahçe huffed and puffed to bring themselves back into the game. But with Ivana Matovic picking up her 3rd and 4th foul in the quarter, Mc Coughtry was their only other offensive option left. In the meantime UMMC players inspired by a coast to coast from Deanna Nolan started to run riot and Bird iced the first half with a three-point buzzer beater (42-36). The third quarter turned into a technical game between the two coaches: First Fenerbahçe using another system with playing small and gaining the speed through shorter guards drew level the first time in the match (44-44) with 5:25 to play in thequarter. 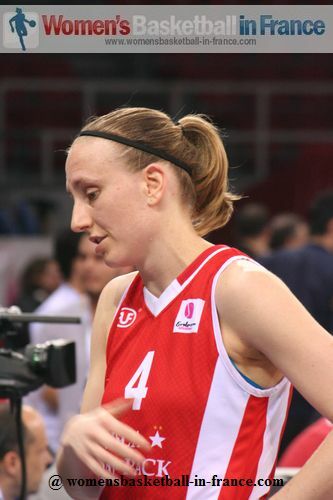 Then it was the turn of UMMC to switch to quicker players as the Turkish side had taken the lead with Zane Tamane and Mc Coughtry doing the bulk of the work at both ends of the court. 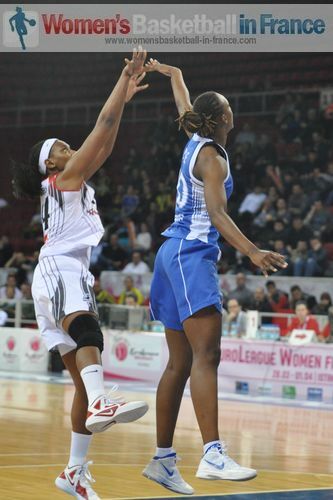 UMMC were soon back on level terms and even regained the lead with Tatiana Vidmer splitting a pair (51-50). UMMC were able to stay ahead thanks to 2 points from Shay Doron (53-52) going into the last quarter. The tactics of both coaches came to an end with the third quarter. 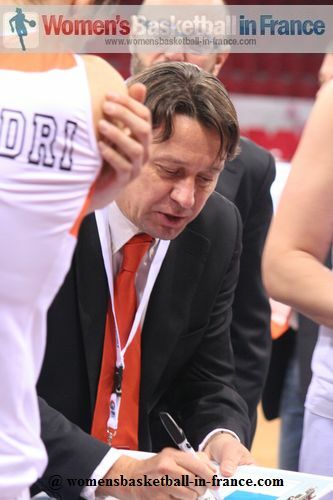 For UMMC Bird took control while Birsel Vardarli did a similar job for Fenerbahçe. With two minutes to play the teams were tied for the seventh and last time (67-67). Parker (in picture) put UMMC on their way for good with 90 seconds left by launching herself onto an offensive rebound from a missed three-pointer to score. Parker scored again 30 seconds later, and then the match was played out on the free-throw line. 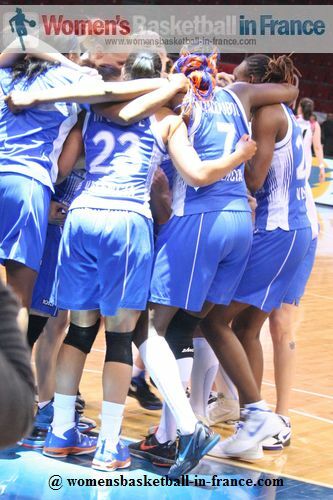 UMMC won (75-68) and for the fifth year walked home with the bronze medal. 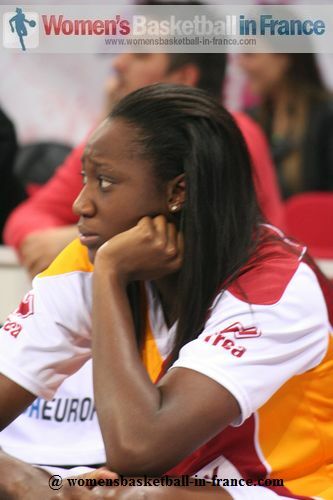 Galatasaray MP were taken right down to the very last shot by Sparta&K Moscow Region before securing the fifth place position in the EuroLeague Women Final 8. Diana Taurasi (right) was in her element during the last few minutes despite having 4 fouls, hitting shot after shot including the game winner with just 0.3 seconds to play. She finished with a game high 25 points. Isil Aiban and Ivanka Matic both contributed 18 points. 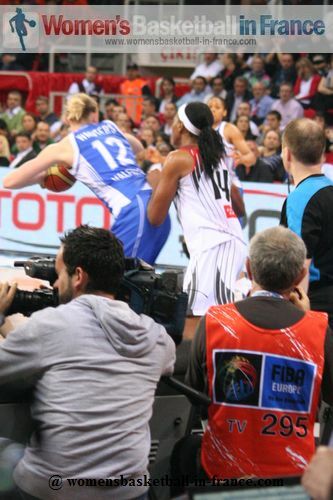 For Sparta&K Moscow Region Becky Hammon, Seimone Augustus and Candice Dupree scored 15, 13 and 10 points each. At the final buzzer, Taurasi showed off her football (soccer) skills as she kicked the basketball out of the court. Beretta-Famila notched up their first win of the EuroLeague Women Final 8 to clinch 7th place and avoid the wooden spoon. They beat Wisla Can-Pack (65-62) in an entertaining match that went to the wire. All the fit players from both teams got on the court at some time during the match. 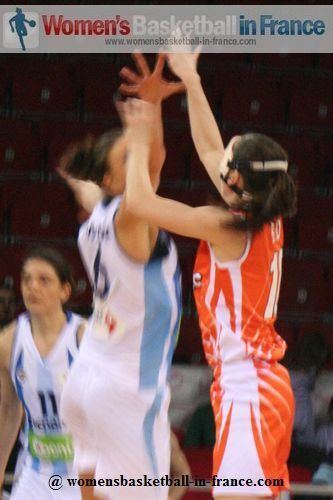 Maja Erkic (in picture) and Cheryl Ford (13 rebounds) with 15 and 13 points led the scoring for Beretta-Famila. 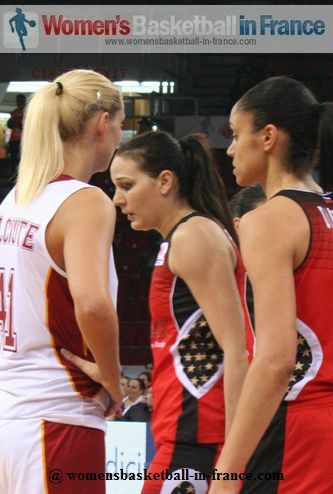 For Wisla Can-Pack Erin Phillips and Anke De Mondt also scored 15 and 13 points respectively.